Brachiosaurus altithorax (handed-reptile) is a sauropod dinosaur or a long-necked dinosaur that lived in the late Jurassic Period. This herbivorous dinosaurs found in the African region are proved to have some uniqueness. Meaning of the Brachiosaurus name is indeed the case. 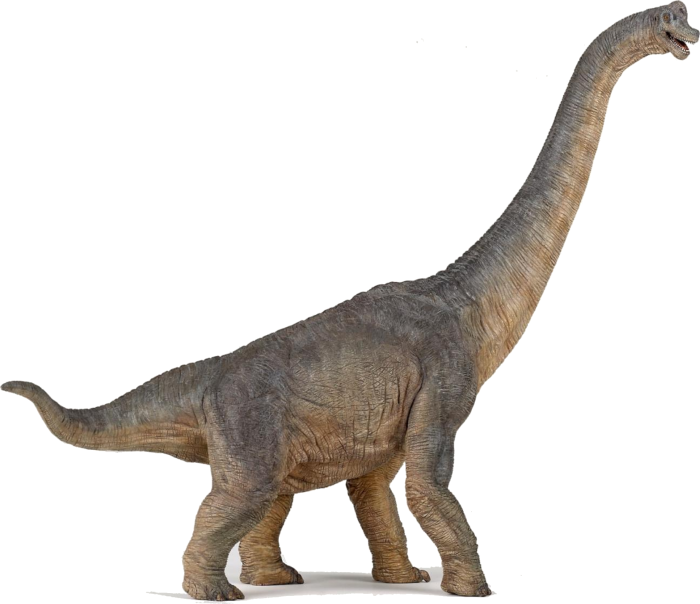 The name actually refers to the fact that the front legs are longer than its hind legs, so that the Brachiosaurus is also a high shoulder and back sloping upward to the head, in contrast to other dinosaurs. This allowed for craning the neck length to reach the top of the tree. Dinosaur fossils are often found messy or missing bone parts. So scientists need to create models of bone loss for their reconstruction. 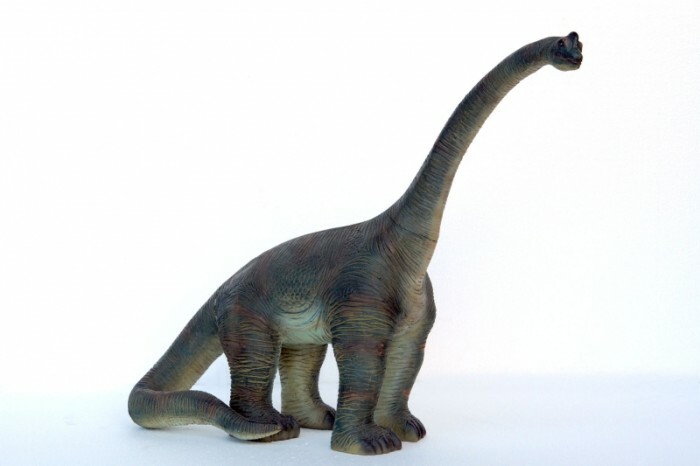 However Brachiosaurus fossil is a dinosaur that is almost complete and bigger dinosaur are found. 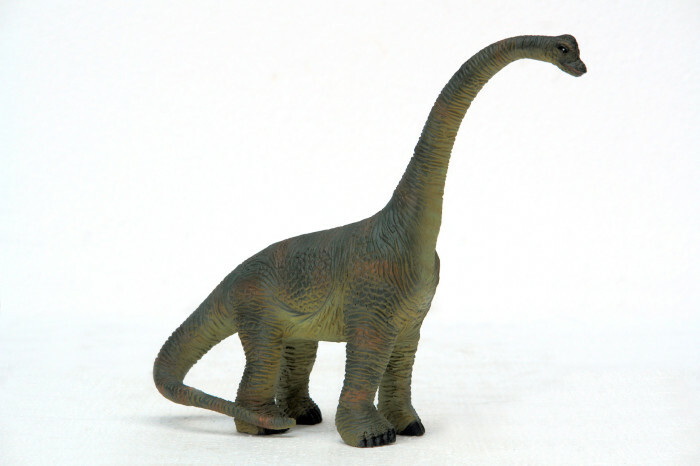 Previously scientists have argued that the Brachiosaurus live in water because they are too large to live on land. They thought Brachiosaurus weighed to sustain life in the water and breathing through the nostrils located on top of his head. Now, we know that all is not right. The water pressure would crush his ribs and could not make it to breathe. Not only in the form of fossil bones, his footprints was preserved. From fossil, foot Brachiosaurus had a very large size, more than one meter in length. Of fossil footprints scientists can estimate the velocity of the Brachiosaurus is 10 km / hour.Sometimes Brachiosaurus had to the swallow stones to help digest tough plant and clay they eat. These stones help grind and crush food in the stomach. This stone or gastrolit has been found along with fossils of Brachiosaurus bones.